KANSAS CITY, Mo. — For the second week in a row, Kansas City will host a major NFL playoff game while dealing with another snowstorm. But this time around, area businesses are hoping for a different outcome. It was a win for the Kansas City Chiefs Saturday against the Indianapolis Colts, but not one for businesses across the metro area. 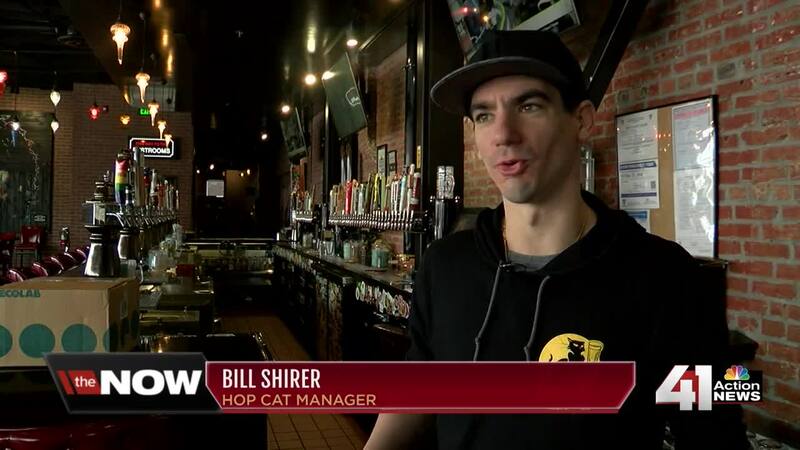 "We lost cable for a while, but we retained our power," HopCat manager Bill Shirer said. The HopCat , a popular spot in Westport, was hit hard by the heavy snowstorm. When the bar lost its cable service Saturday, customers improvised, Shirer said. "There were fans that had their phones out and sort of gathered around each other's tables. It was actually kind of fun because everyone interacted more," Shirer said. Bier Station in Waldo is another bar that's already thinking about back-up strategies ahead of Sunday's AFC Championship game. "Now you got me thinking, just in case (cable) does happen to go down, I know there are other options, like if we had YouTube TV or Hulu, you could probably plug it into any of the TVs we have here and stream it," Bier Station general manager Jacob Kruger said. Bier Station lost power on Saturday, leading the business to close its doors through Tuesday. Restaurants and bars are stocking up on food and beer this week, but managers said there's not much they can do if the power goes out again. "Cross your fingers and make sure that it doesn't happen," Kruger said. Buying a generator is an option, but it's a costly expense that many area businesses don't want. Despite the threat of another snowstorm, bar managers are preparing for a big day on Sunday — and another Chiefs win. "On Sunday we're going to be open at noon and then we'll close whenever. I mean honestly, we'll go through the game and if people want to hang out and celebrate after that, we're going to probably stay open for that, too," Kruger said. The Chiefs host the New England Patriots in the AFC Championship game at 5:40 p.m. Sunday.